Have you ever visited a five-star luxury property in the heart of the city that serves authentic delicacies from pre-partitioned Punjab? 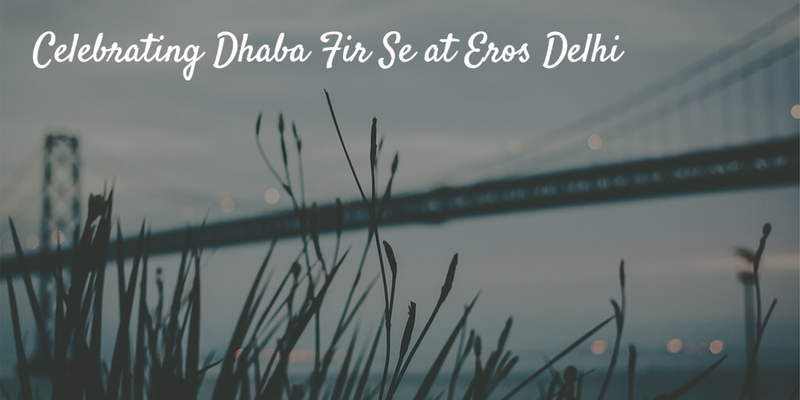 For the uninitiated, Eros Hotel in Delhi is currently hosting a Dhaba Festival at their fine-dining India specialty restaurant called Singh Sahib, where you can enjoy an exclusive buffet spread of fresh, rich and delicious recipes from undivided Punjab. Come and explore a culinary style that blends subtlety and substance with great panache, from a time when lions still roamed in Punjab. Yours truly was there last Wednesday to catch all the action firsthand. 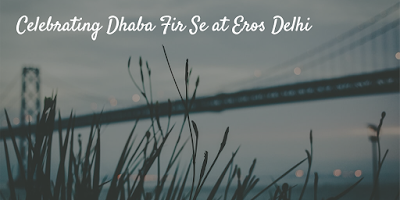 Located in Nehru Place, the business and commercial district of Delhi, Singh Sahib truly brings up to life the exuberance and glory of a forgotten Punjab through the magical flavors of Pothohar, Sargodha, Lahore, Rawalpindi, Peshawar, and Amritsar. Each dish you savor at the fest has been painstakingly researched by the chefs. 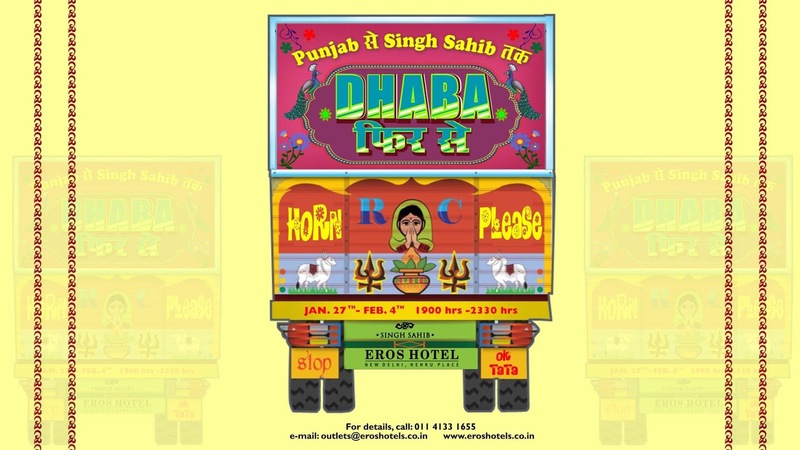 If you ever stopped by to eat at a roadside Dhaba, you probably know that live music and warm hospitality go hand in hand with the ever so popular Punjabi cuisine. At Singh Sahib too, you will be welcomed by a group of Punjabi folk singers and dancers, specially flown in to grace the occasion. Get ready to be mesmerized by their high energy and irreverent spirit. Singh Sahib opens to the outside lawns, offering both indoor and outdoor sitting. However, even amidst the sound of music and celebration, the ambiance is still extremely calm and tranquil. Dim lighting and live music inside the restaurant, coupled with the aromas of the Punjabi food, will create a perfect fine-dining experience for you and your beloved. The restaurant also features original painting of Hari Singh Nalwa, who was Maharaja Ranjit Singh's Deputy Chief. So what are you waiting for? The festival is on from January 27 to February 4, 2016 and you can visit anytime between 7 pm to 11.30 pm. You just need to pay INR 1695 plus taxes per person to be a part of this unique food promotion. 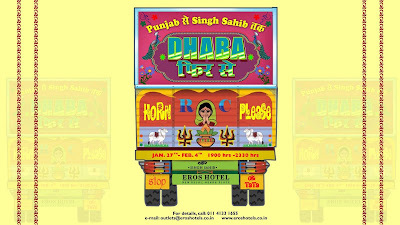 Travel through the wondrous highways and narrow lanes of Punjab at the Singh Sahib, where traditional richness of authentic Punjabi Dhabas beckons you.